Changing our educational system to recognise the Orang Asli and to desist from treating them as if they are subordinates is the first step to co-existing with the indigenous community. Doing so is also an important precedent, as we have much to learn from them, and not the other way around. This was one of the points raised during discussions at a talk on the commendable morals of the Orang Asli communities. 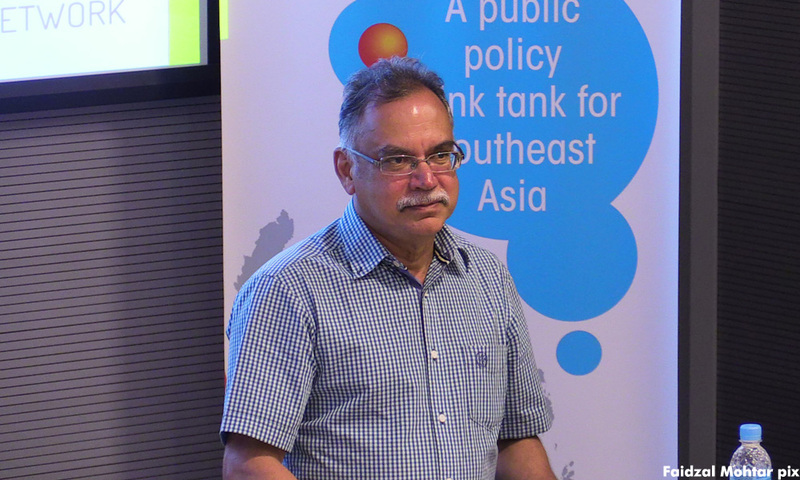 The talk, "Materially Poor, Morally Rich: The Orang Asli, Malaysia's First Peoples", was delivered by professor Alberto Gomez, a seasoned anthropologist, to a crowd of more than 50 people at Sunway University on Friday. Gomez has been studying the Semang and Semai people, two ethnic aboriginal groups in Malaysia, since the 1970s. Having stayed with these communities in the past, he reflected: "Instead of teaching indigenous people like the Orang Asli, we must make them our teachers. "There is much we can learn from ways they relate to their fellow humans and the natural environment." This includes solving global problems such as climate change, racism and even violent conflicts. Gomez recalled how he had once observed Orang Asli villagers giving fish to one another. "One family collected five fishes and gave four other families one fish each. This went on until the five families (who were doing the same thing) had collected five fishes each. "I asked the first family, "Why not just keep the fishes for yourself, since you got five fishes in the end anyway?" This question was simply disregarded by the villagers, Gomez said. It was this spirit of generosity and reciprocity that formed the cement of these relationships, which other community members could learn from as well. Gomez also said the Orang Asli would first seek blessings from the deity of the land before plowing or building works were done, as a respect for Nature. "The people can take up the practices and beliefs of the Orang Asli, and adopt them into their own lives." He also painted a slightly different story of what the Orang Asli go through when their forests are cleared. "(Imagine) your social identity being so intimately connected to the land, that if you were to change it (by clearing the forest), you would be (removing) visible, concrete connections that you have in history. "A walk into the forest is a journey into their past." Gomez further claimed that clearing the forest was tantamount to wiping out a museum, or going to the British archives and destroying them. Missionary workers who visit Orang Asli villagers should not be saying they were there to help them. "(They) should be going to learn from them, not wanting to help them. The exchange must be made through mutual respect," Gomez said, and he went on to debunk an often used saying coined by Charles Darwin. "The concept of 'survival of the fittest' is (wrong) as later editions of his (Darwin's) work claimed that the fittest species are the ones who cooperate, and are more likely to survive." Asked how he would strategise on this, Gomez remarked, "That's why I'm standing here." He likened having dialogues and conversations like this to a small hammer chiseling away on a massive wall that had been up for years, an analogy similar to breaking ice blocks to start conversations. "I remain quite hopeful and optimistic, as there have been many positive changes taking place in the past (in this regard)," he said. What is Tourism Tax all about?